Lillie D. Shockney, R.N., B.S., M.A.S., is featured on the AARP website in an article entitled “Nurse Navigators Help Patients Cope with Complex Health Issues“. Lillie is the co-founder of Johns Hopkins Work Stride: Managing Cancer at Work program. 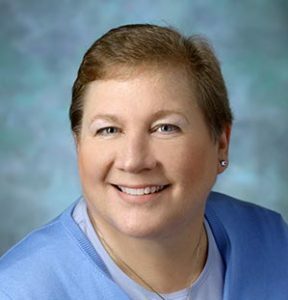 Lillie is also the Johns Hopkins University Distinguished Service Professor of Breast Cancer and, since 1997, has been the administrative director of the Johns Hopkins Breast Center. She also serves as the director of Cancer Survivorship Programs, at the Sidney Kimmel Cancer Center, at Johns Hopkins, and is a professor of Surgery and Oncology, in the Johns Hopkins University School of Medicine. In the article, Lillie notes the importance of a nurse navigator’s role in identifying barriers to a patient’s treatment as well as ensuring that a patient’s voice is not lost in a complex treatment regimen. Read the full article here. Learn more about the role of nurse navigators in the Work Stride: Managing Cancer at Work program here.